If you’re looking for a TNT internet promo for 1 month, the new Gaan Surf 150 is the right package that you can consider as your number one choice. For only 150 pesos you can already enjoy browsing and playing online games for 30 days. Of course you need to budget your data allocation as this offer is not your favorite unlisurf promo like the previous offers. You only have limited open access and value added services for select apps. You have 750MB to browse YouTube, Facebook and play Mobile Legends that is for the whole month aside from the allotted open access data. 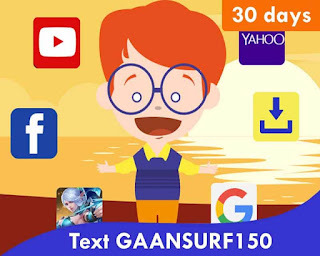 The keyword to register for this promo is GAANSURF150. But before that you need to reload your prepaid account with the amount of 150 plus the maintaining balance at your nearest load retailers and store. Follow the mechanics below as your reference if you are interested to subscribe to this TNT offer. 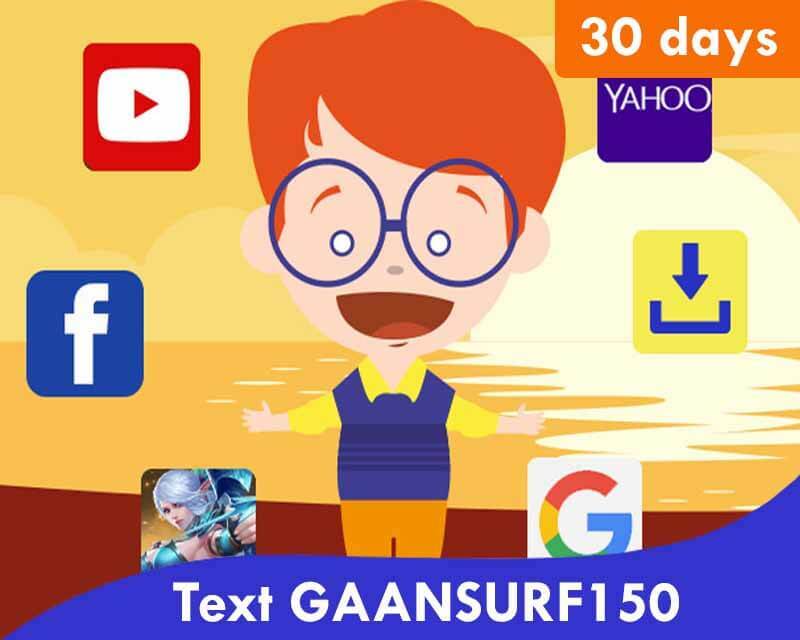 Gaan surf internet surfing package is also available in 50 pesos’ denominations (GAANSURF50 - 7 days), 30 pesos for GAANSURF30 and more. If you’re on a tight budget, you can feel free to choose any of the packages that may fit your budget. Tip: Be sure to turn off your mobile data when you are not using the internet to save your allocated promo bandwidth. Just switch off the mobile data button on your phone’s settings or swipe down to open the shortcut icon for your mobile network.